Your beautiful girl will love these modern, minimalist cross earrings. Made with high quality materials and impeccable design, using only 100% solid 14k gold, featuring safe and comfortable screw backs. 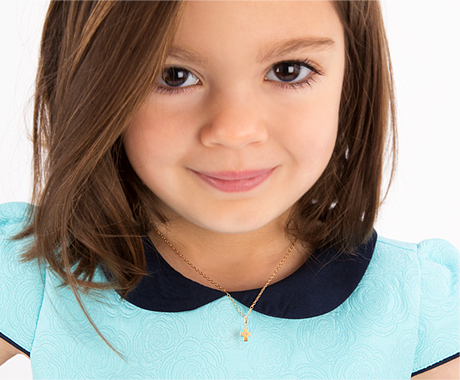 With your choice of yellow, white, or rose gold, you can give her a First Holy Communion gift that will look stunning on her! This Communion sale item will be treasured for years to come.